Everyone loves coconut oil as a hair treatment. But why? What's so great about it? 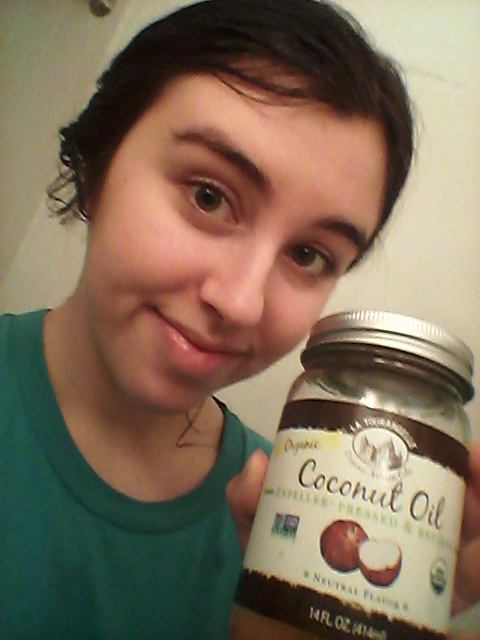 Pardon my messy look, but this is the coconut oil I used to treat my hair. How many washes it took to get it out: Four - not counting when I tried to wash it out in the sink! 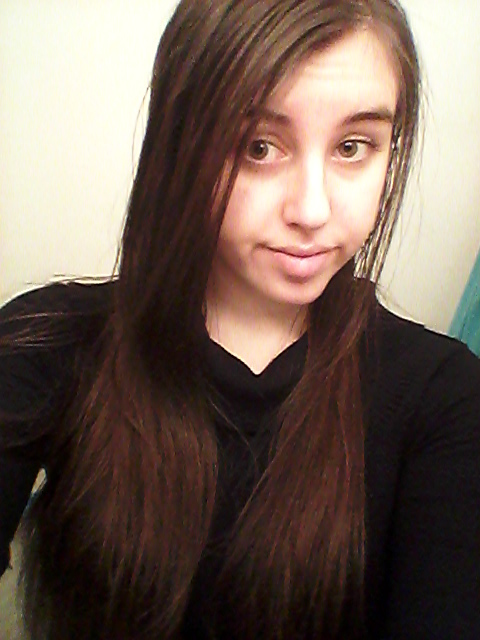 Before I thoroughly washed my hair, left, and after I washed my hair. You can clearly see the difference in both my hair and happiness level. What happened: I added globs of the coconut oil to my hair - mainly focusing on my dry ends. I wasn't sure how much to use so I didn't measure it. After my whole head was covered, I secured it in a bun with a clip. Some articles I read suggest putting on a shower cap, but I didn't have one so I skipped that part. I was originally going to wait just 30 minutes and then take a shower, but I got caught up doing mundane tasks. Instead, I waited a whole hour. 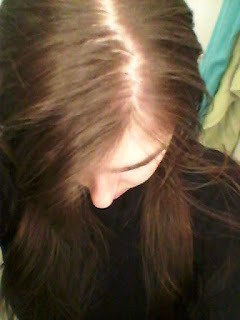 I figured that would be okay, considering some people like to leave it in as an overnight treatment. When I took a shower, it was hard to tell if I had gotten it all out, but I shampooed it three times. Unfortunately, when I got out of the shower and blew out my hair, I was unhappy with the results. Apparently I hadn't washed my hair enough because it was super stringy and greasy. I tried to wash it out in the sink using hand soap - yeah, I know, stupid - to no avail, so I went back in the shower. This time I shampooed for a longer duration and got it all out. This time the results were completely different. My hair was full of shine, volume, and vigor. Not only that, but it was super soft, which even carried into the next day! I got a bunch of compliments on my hair too, which was nice. 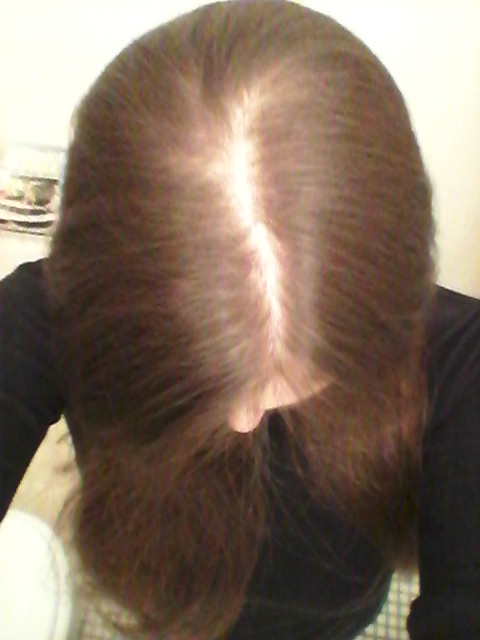 Oily roots, left, were the result of not thoroughly washing my hair the first time. 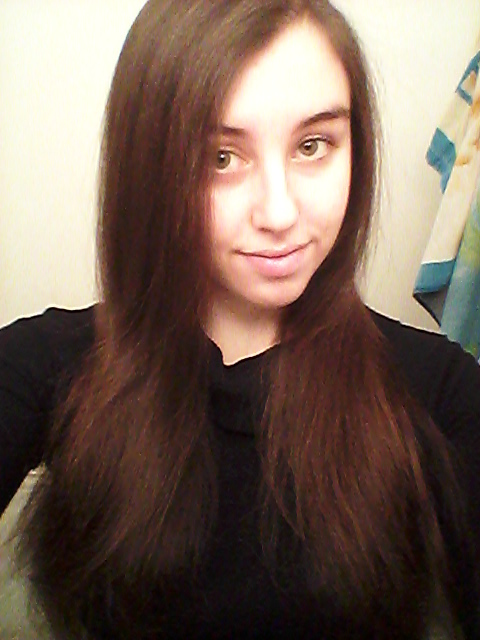 After the fourth wash, my hair looked shiny and soft (thank god). Conclusion: Everyone should give this a shot! It works - but it's a pain to wash out. Coconut oil is very greasy, which can weigh down the hair. But if you thoroughly shampoo your hair, you should be fine. In the end, your hair will thank you.